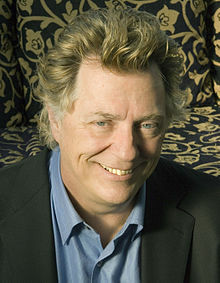 John Christian "Chris" Miller (born 1942 in Brooklyn) is an American author and screenwriter. He is best known for his work on National Lampoon magazine and the film Animal House, which he also acted in with co-writer/actor Douglas Kenney. The latter was inspired by Miller's own experiences in the Alpha Delta Phi fraternity at Dartmouth College, in which he went by the name "Pinto". Miller graduated from Dartmouth in 1963. ^ Mark Leffler (16 November 2006). "House Rules: Chris Miller takes us back to the Real Animal House". The Review. Retrieved 2018-06-02. ^ Christopher Buckley, "Toga! ", The New York Times, 5 November 2006. This page was last edited on 11 March 2019, at 17:27 (UTC).